Harmonic Machinery is a sample library built around samples of 3 unique hand-crafted instruments: Ferrophone, Sonoplotter and Blue Triangle. The library contains two virtual instruments: Ferro and Nebulon Ferro. They both have powerful personalities that stand strong on their own, but their sounds can easily be welded together to form intricate sound design structures. 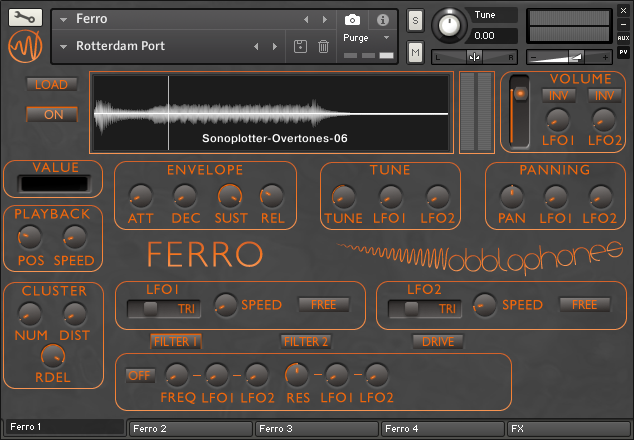 Ferro is a tool for creating original sound effects and cinematic sound textures. It can build a vivid atmosphere of dooms' day, a hostile industrial world or a recurring nightmare. But it just as easily creates peaceful atmospheric pads and lush sound textures. Ferro can play up to 4 samples from the Harmonic Machinery collection simultaneously. It offers 2 LFOs for parameter modulation and a separate filter and overdrive section per sample. All this is topped off with an extra chain of effects on the instrument level. 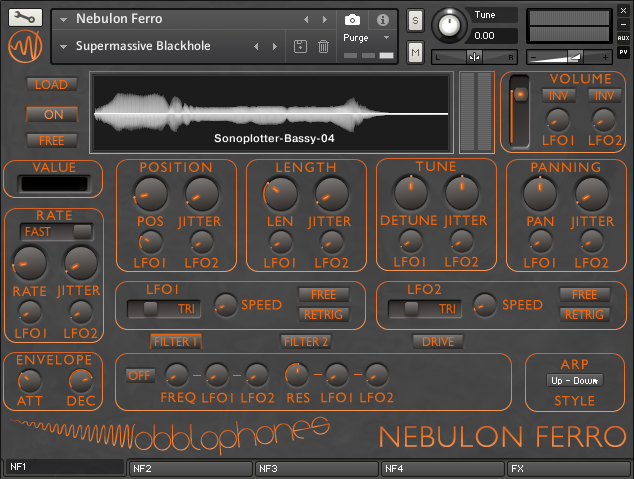 Nebulon Ferro is an advanced granular sample player. Unlike Ferro, Nebulon Ferro doesn't play back samples conventionally, but splits them into small pieces, called grains. Many grains can overlap to form complex clouds of sound. With Nebulon Ferro you can steer the sound towards the darkness or light. And in either case, your soundscapes will sound like a journey into the world of Harmonic Machinery. 1.1 GB of samples from 3 unique instruments: Ferrophone, Sonoplotter and Blue Triangle (bowed). The Nebulon Ferro virtual instrument. All samples are recorded at 44.1 kHz, 24-bit and provided in .wav format. Installed size: approx. 1.1 GB. 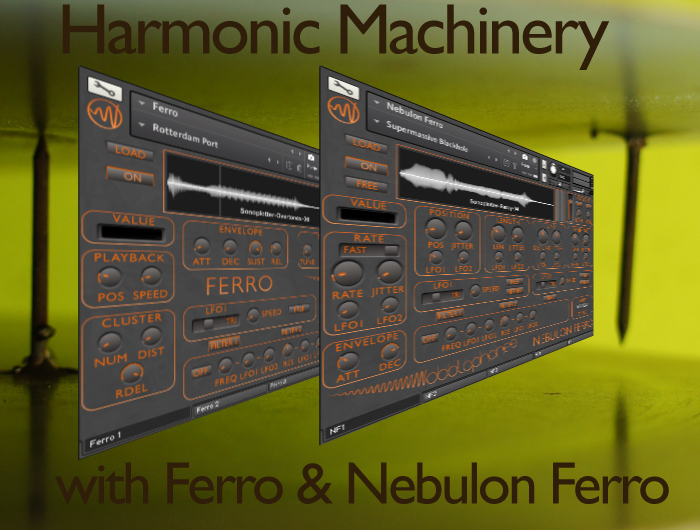 Ferro and Nebulon Ferro work in NI Kontakt 5.4.2 and above. A demo version is available here. Please note that this product needs the full retail version of Kontakt 5. It does not work in the free Kontakt Player.